When did people stop whistling? - Harrison White, P.C. Home » Firm News » When did people stop whistling? Irving Berlin and Bing Crosby got it. So did composers Earle Hagen and Herbert Spencer. The carefree, unencumbered fun of whistling. From Crosby’s White Christmas to composers Hagen and Spencer’s The Fishin’ Hole, or the theme to The Andy Griffith Show, whistling has been a sign of peace—the looking at the sky, spending time with friends and family, and just being comfortable in the moment kind of peace. So what happened? Has our ability to become ultra-connected through technology driven us further apart? When we sit down at the table for dinner, will we look at our phones instead of at the faces of those sitting around us? When we walk outside, instead of looking the trees and sky, will we instead check our Facebook feed or read our email or send text messages to our spouse? As we approach the holiday season, let us put down the devices and instead talk to one another. Let us connect again on a human level by supporting our communities and the people who live around us. Let us pick up the phone and talk to one another instead of texting a thumb-up and heart emoji. And let’s start whistling again. 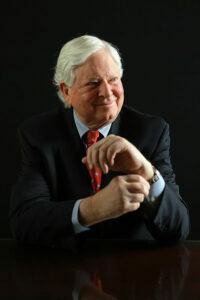 Blog post by managing partner John B. White Jr. Click here to read more about John.